We're getting busy with WA's native bees, and we want to see your crazy creations! 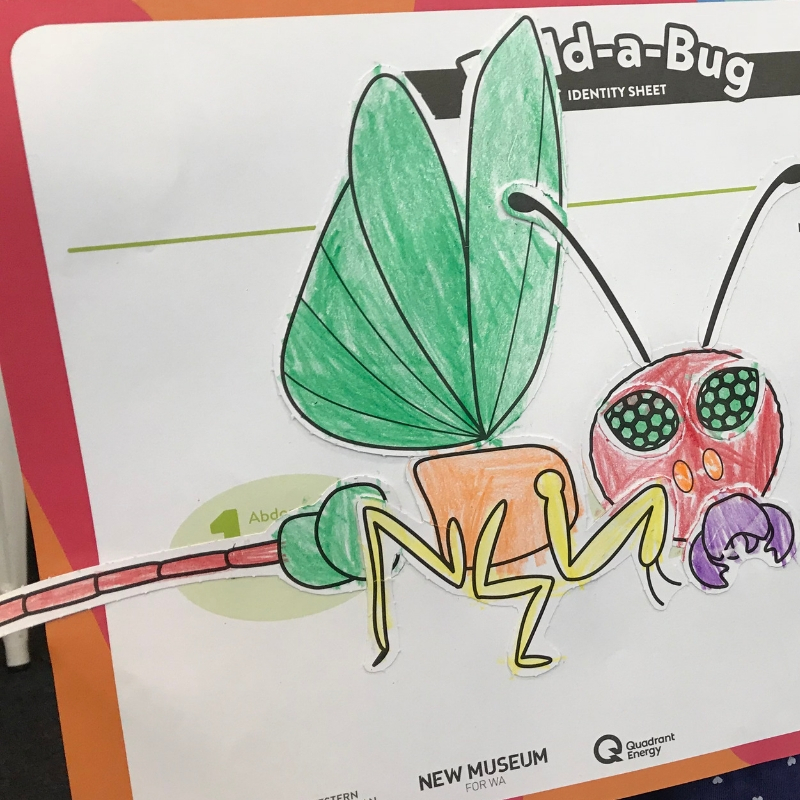 Get your craft on with the WA Museum and make a whole new species of insect. Mix and match the protruding jaws of a short-tongued bee, the hairy hind legs of a green burrowing bee or the flight muscles of the blue banded bee to build a new bug. Drop in anytime between 10am and 3pm daily (excluding public holidays). The WA Museum is the State’s premier cultural organisation, housing WA’s scientific and cultural collection. For more than 120 years the Museum has been making the State's natural and social heritage accessible and engaging through research, exhibitions and public programs.